Do you ever have scraps of meat that you’re not sure what to do with? 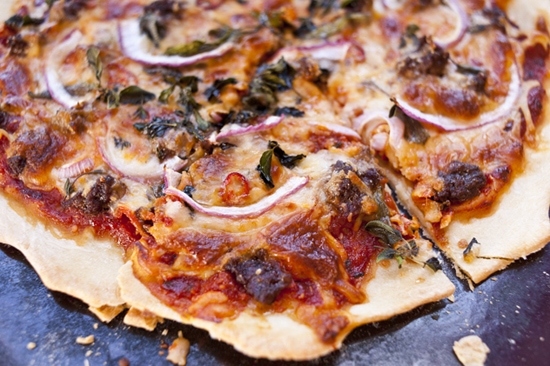 Save your scraps in the freezer and then grind them up or chop them well and use them as a delicious pizza topping. 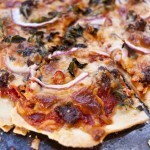 This pizza dough recipe is great to make in advance and store it in the freezer in plastic bags. 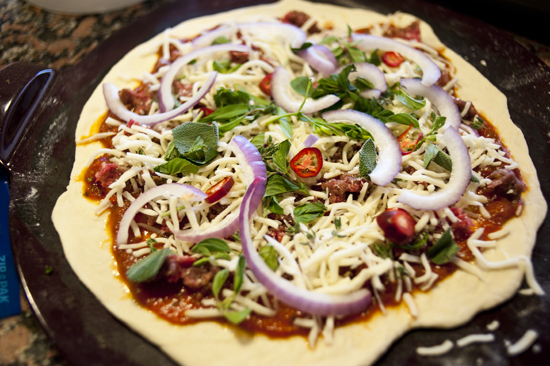 Then when you’re having a busy day like I am lately, you can whip up a quick and delicious pizza with whatever is in your fridge. 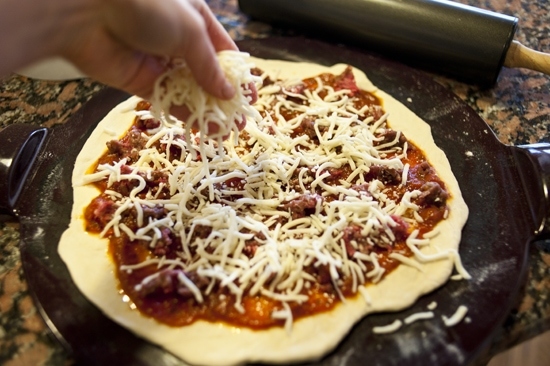 To see a step by step on the pizza dough, visit this post. Then preheat your oven to 425 degrees F and roll out your dough on a floured surface. 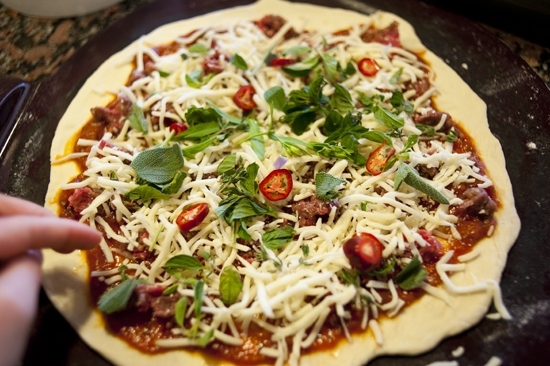 Then get your toppings going… tomato sauce perhaps? Bison! Ground is best. Or your other favorite meat. Venison would be great too. 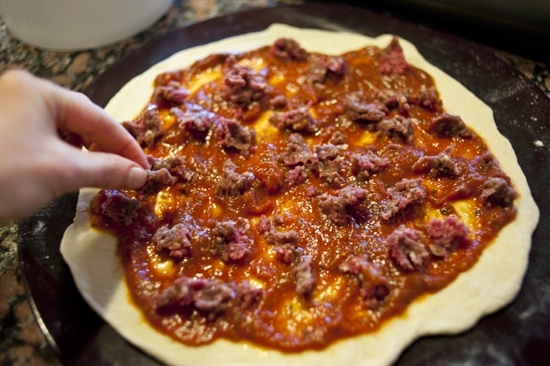 Venison pizza. Yes. And a little jalapeno for kick. Red onions for some flavor. It’s so quick and easy. And crispy. And… oh I need to go make a pizza now. Bye. p.s. What’s your favorite kind of pizza or topping? 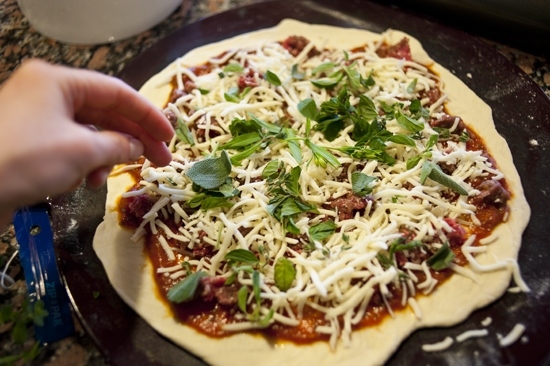 Make this dough in advance and pop it in the freezer so that you can make a pizza any time. 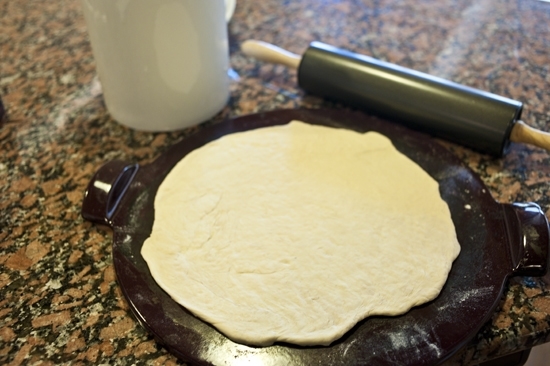 Roll the dough out onto a well floured surface and place it on a pizza stone or well oiled sheet tray. 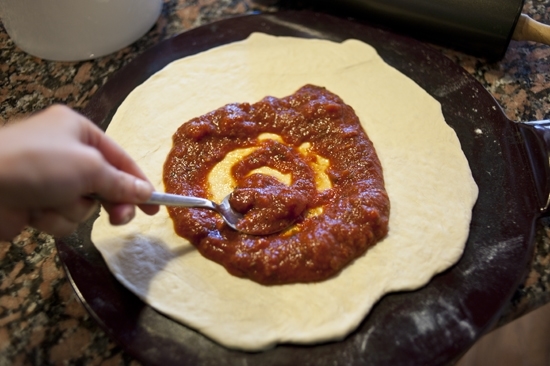 Spread the pizza with the tomato sauce followed by the remaining ingredients. 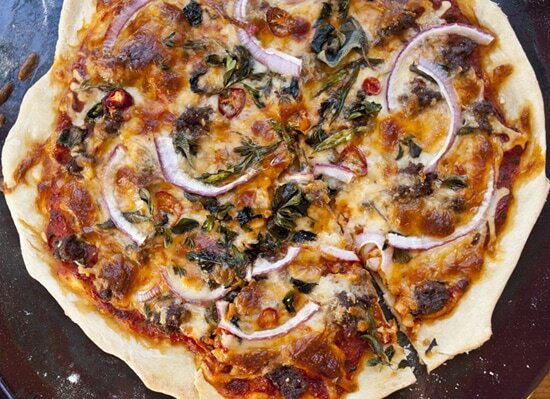 Or experiment with your favorite toppings. Cook in the oven for 10 minutes, then reduce the temperature to 400 degrees F for about 20 minutes more. 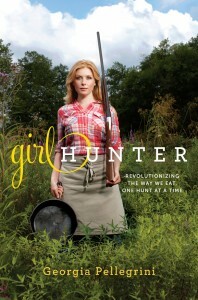 I’m a sausage pizza girl, but I imagine this bison would be wonderful. we found a pizza place nearby and they serve gigantic slices for a buck fifty. our favorite is tocino. it’s like a crumbly bacon. so salty and yummy with the sweet tomato sauce. 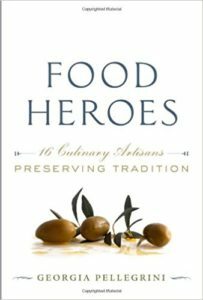 What herbs did you use? Looks like sage maybe? Basil? Looks amazing will be trying this one out tonight! I had a bunch of fresh herbs on hand that I tossed in there… oregano, sage, and tarragon is what I used! Where do you find ground bison? A lot of large grocery stores sell it these days! Whole Foods, Trader Joe’s, Central Market, online… it’s pretty accessible luckily. 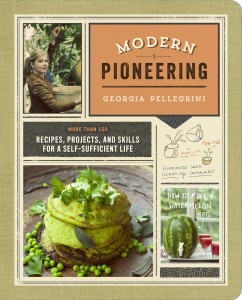 Looks great… but Did you use raw bison? Was IT actually cooked through By the End?